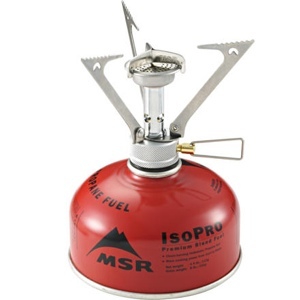 This is a lightweight (2.04kg) 2 person, 3 season tent that is usually used by backcountry campers. While this is in the upper end of the price spectrum, this is not the most expensive tent of this class available at MEC. 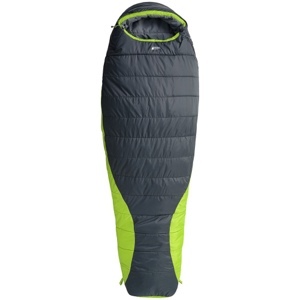 We chose this because it had a higher fly and floor waterproofness than other like tents by Big Agnes. We also looked at the 2 person lightweight tents that MEC produce but they had a lesser waterproofness rating and denier rating, which means it’s thinner and the coating used was silicone and polyethylene vs the silicone and polyurethane that MSR applies. Polyurethane has greater adhesion, hardness and chemical resistance and for an additional $10-30 we feel that it’s worth the splurge. Although, if we weren’t going to eventually use this for our cross Canada trip with the constant set up and takedown every other day for about a month and a half (and who knows, maybe even a few storms), we’d definitely buy a tent by MEC for the better value. 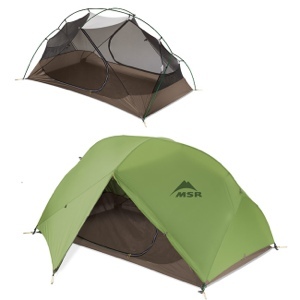 There is also a matching footprint for an additional $34 and is highly recommended to prolong the life of the tent. This is actually for L since I already have one. This is a synthetic bag and this was chosen over down filled ones because down loses its heat retaining properties when wet and takes much longer to dry. Knowing our luck, we’d get caught out in a downpour or somehow have water seep into our water resistant bags. Pair this with a Therm-a-rest sleeping pad. They’re so much cushier than the regular foam pads! Which one do we go with?! I’ll leave the list like this because there’s so many more items we have to pick and it’d just be silly to put them on here. 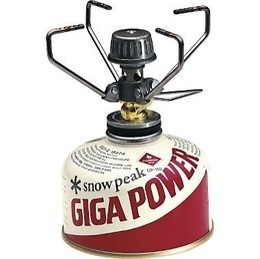 All items mentioned here can be found at Mountain Equipment Co-op (MEC). I’m sure you can find these items at other stores but I really like MEC because of their wide selection both online and in store and their staff are knowledgeable and actually use the products they sell. Product suggestions are welcome!